Arcadia Farm is located just a few short miles from downtown Washington, DC, on the historic grounds of Woodlawn Estate. 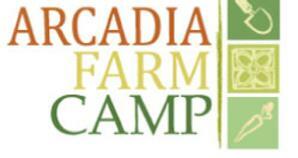 Arcadia’s demonstration farm and educational children’s garden currently encompasses four acres, providing a sustainable model of agriculture to new farmers, students and the public through hands-on community engagement. Arcadia Farm has three unique program areas, which include Education and Community Engagement, Environmental Stewardship, and Food Access. Arcadia's mission is to improve the health of our community, the viability of local farmers, and preserve our environment for future generations by combining education about healthy food and its sources with better logistical connections between local farmers and the urban and suburban core of the DC region.